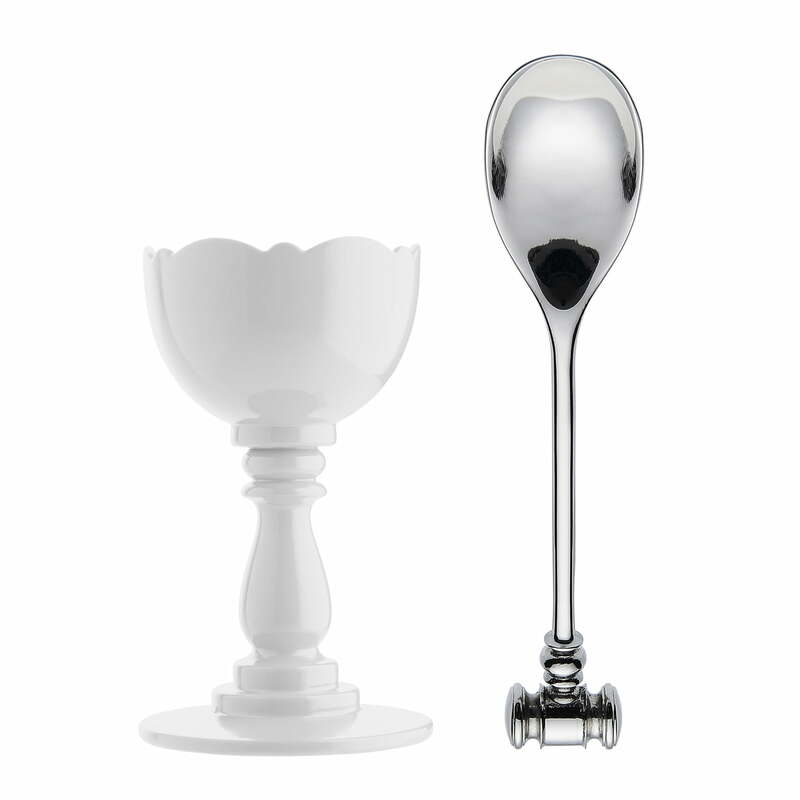 The Alessi Dressed eggcup has done itself up very nicely. 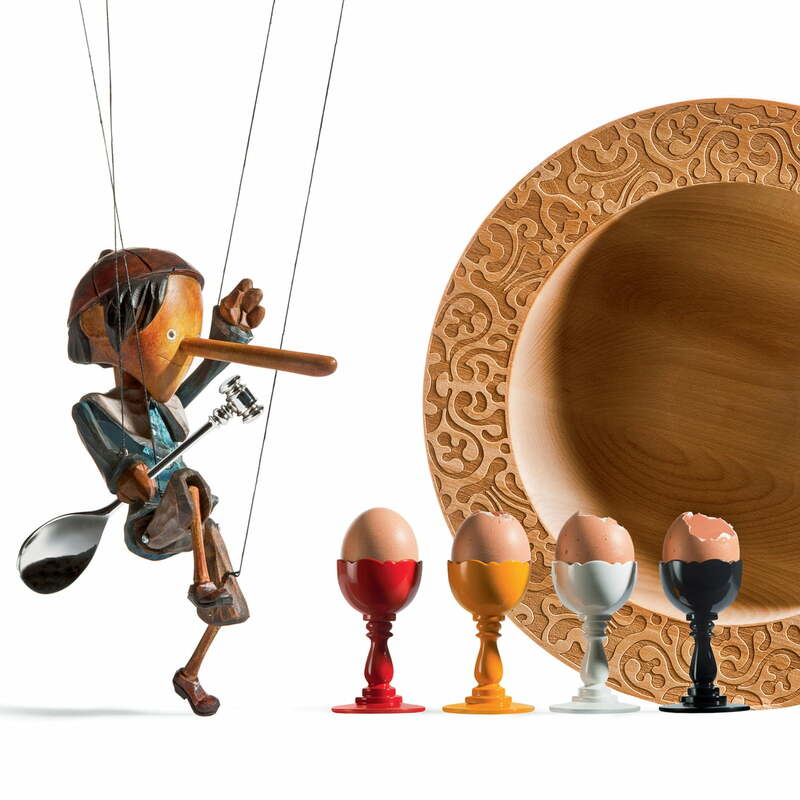 The eggcup with spoon is one of the products of the series that celebrates breakfast with style, as part of the Dressed Collection by Marcel Wanders for Alessi. 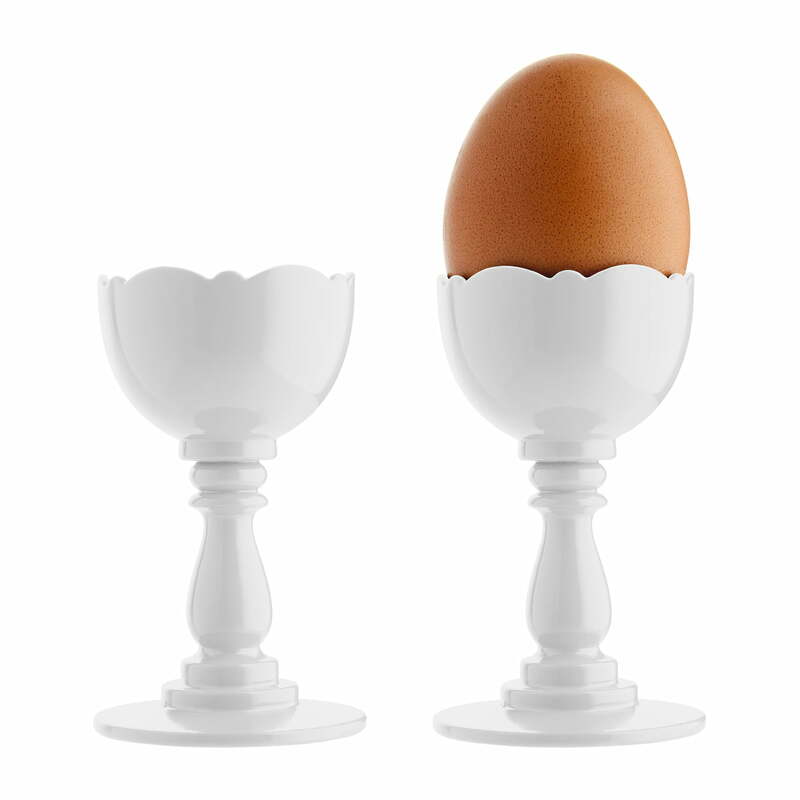 The Dressed eggcup is a re-interpretation of a classic design – which is part of the design philosophy of Marcel Wanders, who offers a new gown to the breakfast item with a wink. 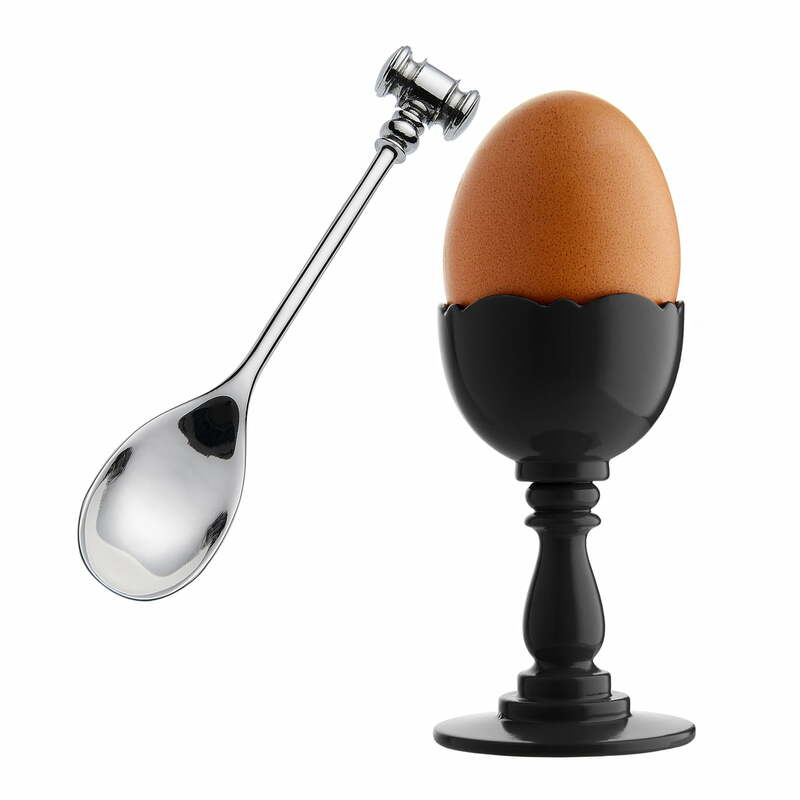 Aside from the unusual shape of the eggcup, the accompanying spoon is another reason why this one is a "must have" on the breakfast table. 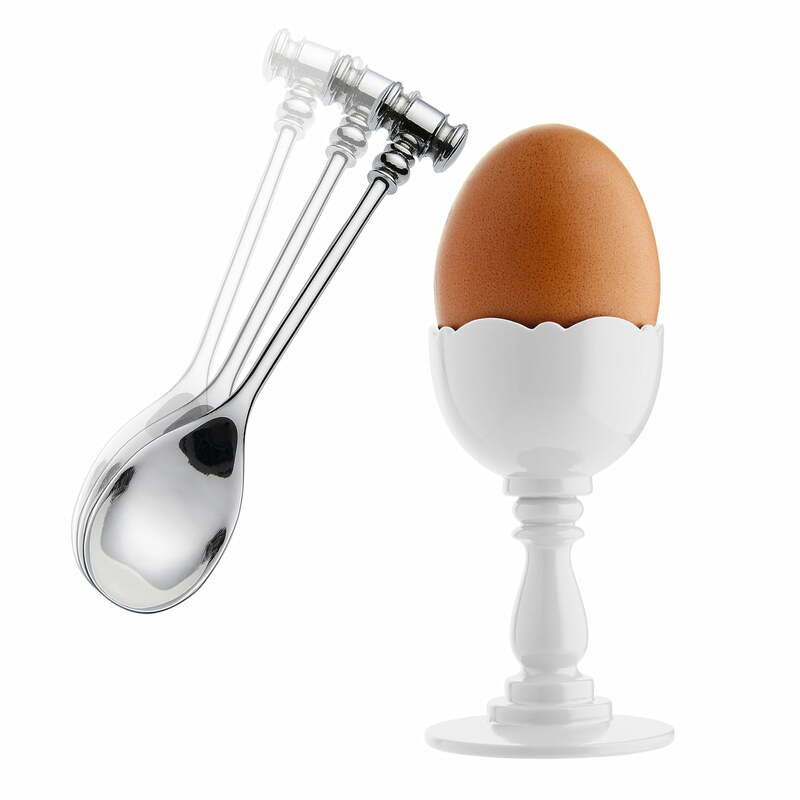 The stainless steel spoon comes with a practical hammer at the end of it with which it is easy to break the egg's shell by tapping on it.